Can you wear a bridesmaid dress again? According to a new survey, more bridesmaids than ever are answering yes. In August 2018, PreOwnedWeddingDresses.com conducted a survey and found that 36% of bridesmaids said all of their dresses could be worn again. While 30% said none of their gowns could be worn again. When it comes to the dress itself, bridesmaids prefer mix and match styles over anything else. And they think $100-$200 is the fairest amount to ask her to pay for her dress. After the wedding? Forty-seven percent of bridesmaids say they will keep the dress, with 23% saying they will sell it. 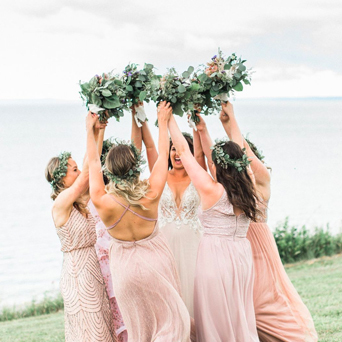 A whopping 87.25% of bridesmaids say they would definitely/maybe buy a used bridesmaid dress, making resale a smart option for any bridesmaid who doesn’t want to keep her dress. To help those wanting to sell, PreOwnedWeddingDresses.com is offering free bridesmaid listings until September 15th. Pay zero listing fee, and as always on PreOwnedWeddingDresses.com, no commission on the sale. Use code “bridesmaids” at checkout to redeem the savings and get started here. Email us to request this infographic. 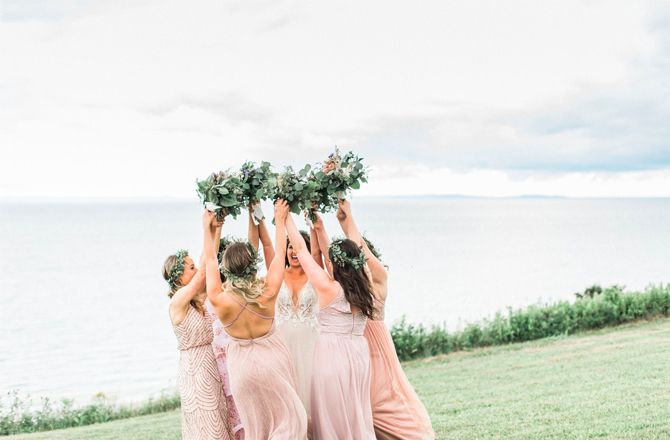 One Response to Can You Wear A Bridesmaid Dress Again? ← Sell Your Bridesmaid Dresses For Free!